We do Land Rover Diagnostics and Repair in Charlotte. We find and repair all hard to troubleshoot issues on Land Rovers for over 40 Years. Finding a good Land Rover mechanic in Charlotte is a challenge. This is where Independence Automotive of Pineville is filling the void. Rest assured that your Euro import will be cared for like our own grandma’s car. Range Rovers are welcome too. 24K miles or 2 year warranty both on labor and parts. 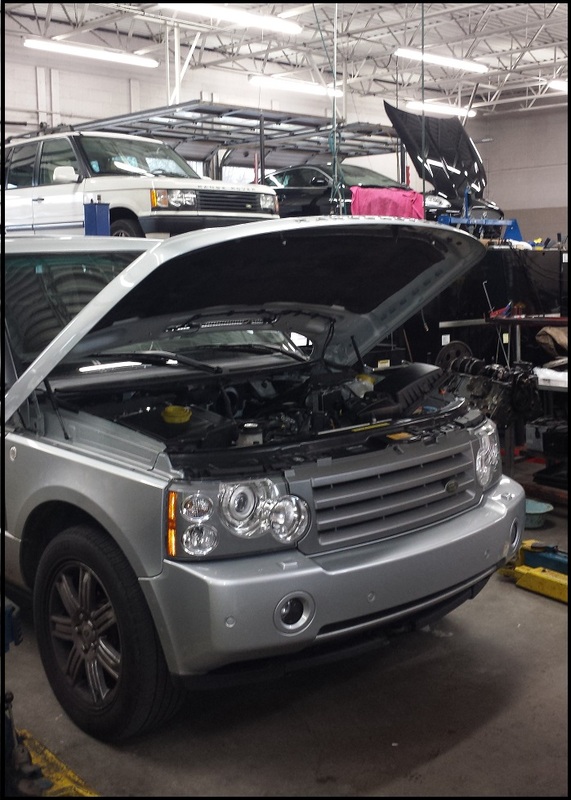 Our Range Rover and Land Rover programmer and repair expert Shawn Krcelic will make sure your car leaves our garage with factory specs. We use the latest software to update your Rover’s computers (ECU), diagnose all “check engine” lights (service lights) and properly troubleshoot the origin of the problem. Taking your Land Rover to a dealer may not be necessary at all. We would be happy to have your business and earn your trust after your first service or oil change. I had an amazing experience at Independence Auto in Pineville this past week. My car had major issues that needed to be dealt with. I feel that Arthur worked with me, and kept me informed every step of the way. He confirmed many issues that I had been suspecting for quite some time. He was extremely knowledgeable…so much so, that I honestly thought that he was the owner of the shop. I felt that he truly cared about me as a customer. I cannot say enough good about my experience! I will continue to remain a loyal customer throughout the life of this car. Maxine Woods. This place is a hidden gem! The master mechanic Arthur restored my faith in humanity. He is extremely knowledgeable and skilled. Great customer service, good prices, and Arthur is an excellent mechanic. I would highly recommend Independence Automotive. King Arthur is a great mechanic. He does a great job explaining what you need and why, and then fixing it. He is honest, reasonable, and hard-working. I will definitely be taking my car back to him if I have any issues. With him, your vehicle will be in great hands for sure! Arthur is a fantastic mechanic. He has a wealth of experience and made me feel like family. I had a called around to several area mechanics to replace my power steering pump in my BMW and he gave me the best feeling and quote. He is very genuine and trustworthy and really worked with me to explained what he was going to do. The quote he promised was the price I paid and his work has been working great. Independence Automotive should be the place where you take your car for fast, friendly, A+ service. I will recommend this group of professionals to my friends and family! You guys did a stellar job!